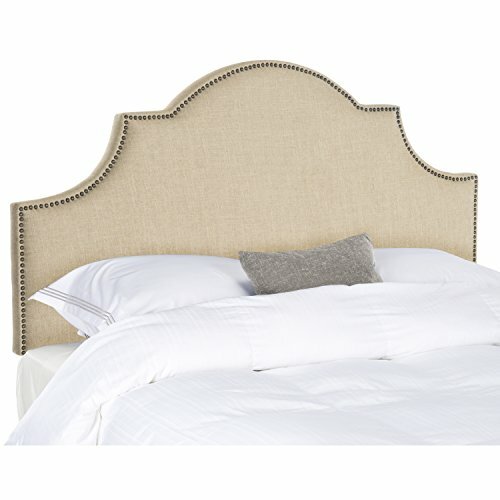 Safavieh Hallmar Hemp Linen Upholstered Arched Headboard - Brass Nailhead (King) | What Should I Say? Classic and expertly tailored, the softly Arched Hallmark king Headboard in hemp-toned linen fabric is the ideal choice for a beautiful bedroom makeover in minutes. Stunning brass nail heads outline the graceful silhouette of this plush Headboard.